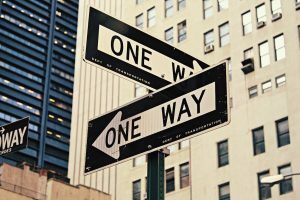 Often in ministry and in life, we are faced with choices between two—or more—good options, but we don’t have the time, energy or money to do all of them. We have to choose. It’s especially difficult to choose when both options seem quite good. A friend of mine has a daughter deciding on colleges this spring. she had narrowed down her choices using some “knock-out factors.” These are critieria that would make her decide against a school outright. For a serious student athlete, a knock-out factor might be a school not having a good basketball team. My friend’s daughter had two knock-out factors: she wanted a school that was out-of-state and she wanted one where the campus felt like a positive fit on an intuitive level. One school looked perfect for her on paper, but when she went to visit it failed the knock-out test. It quickly fell off her list and she didn’t apply there. After the narrowing process, she was left with two colleges. Both of them seemed to be equally good choices, she had been accepted, and she could picture herself attending either school rather easily. So how should she make this decision? I suggested the “forced choice” exercise and she tried it. Here’s how it goes. In this case, the content is choosing a college, but it can be applied to any situation where there’s a choice to be made between options. Then came the forced choice part. I asked her to compare each option with each other option and ask, “Which is more important?” No ties or passing, and sometimes she found the choices very difficult, such as when I asked, “Which is more important—a good financial package or a good study abroad program?” Whichever option she deemed more important got a tally mark, which created rankings. So she made 21 choices– comparing each item with each other item. Here are rankings she came up with. The tally marks at the end of each item reflect how many times that item was chosen over other items, resulting in a weighting of how important each item was to her. Some takeaways: The financial package held a lot of weight for her as she was concerned about going into debt. She really, really wants to study abroad– even more so than she had thought. An acapella group is just a nice-to-have, not an essential. Off-campus fun doesn’t mean as much to her as opportunities to make friends on campus. She can now use these criteria—weighted by importance—in order to decide between colleges. And if two schools come out basically the same even when compared, there’s always the coin flip test: toss a coin in the air, call it, and when it lands gauge your level of disappointment or excitement. What choices are you currently facing? How could you use this exercise to help you make a good decision that’s most in line with what you value?